HXT is a Fourier synthesis type imager consisting of 64 bi-grid modulation subcollimators (SC's). Each SC has a different pitch and/or a position angle of collimator grids, together with a NaI (Tl) scintillation crystal and a detector photomultiplier located behind the SC. 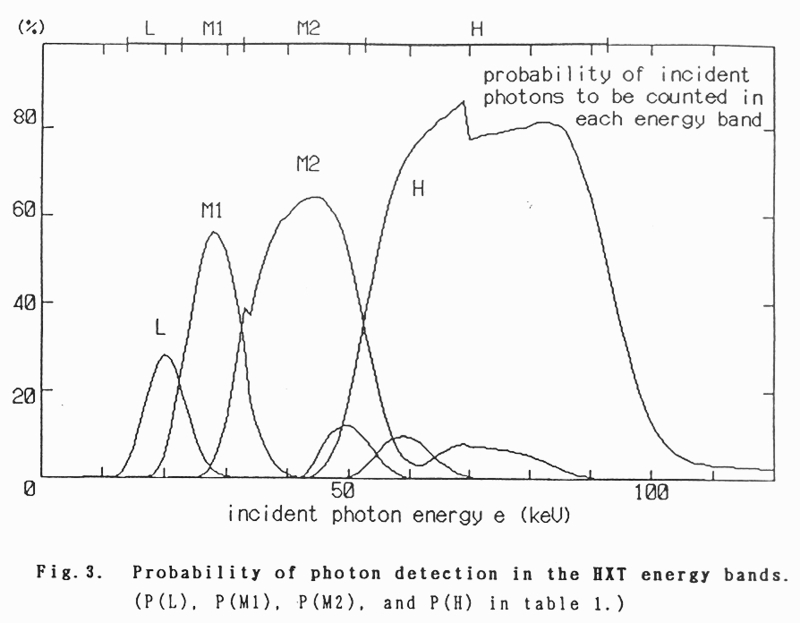 The number of hard X-ray photons passing through a single SC is periodically modulated with respect to the incident angle, which gives a modulation pattern of the corresponding SC, and count rate data obtained by each detector which can be regarded as a spatial Fourier component (+ DC level) of a hard X-ray image. 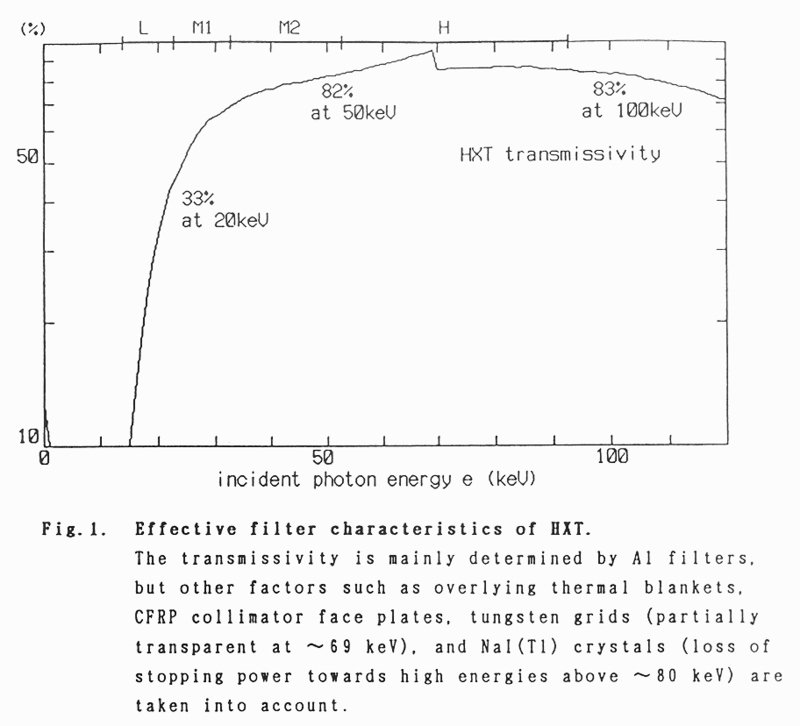 When a flare-mode is triggered, a set of 64 hard X-ray count rate data is accumulated every 0.5 s (= the highest temporal resolution) in four energy bands between 14 and 93 keV (L, M1, M2, and H bands, respectively) and is transferred from HXT to the Data Processor (DP). The data are then telemetered down to the ground and hard X-ray images can be synthesized using image restoration procedures such as the Maximum Entropy Method (MEM). The field-of-view (FOV) of HXT is about 35 by 35 arcminutes, i.e. covering the whole Sun. This means that HXT can detect hard X-rays of flares regardless of their position on the Sun without re-pointing the spacecraft. The basic image synthesis FOV of HXT is 2.1 by 2.1 arcminutes with the angular resolution as high as approximately 5 arcseconds. A detailed description on the overview of the instrument is given by Kosugi et al. (1991). See Kosugi et al. (1992) for the in-orbit performance of HXT as well as some initial results. 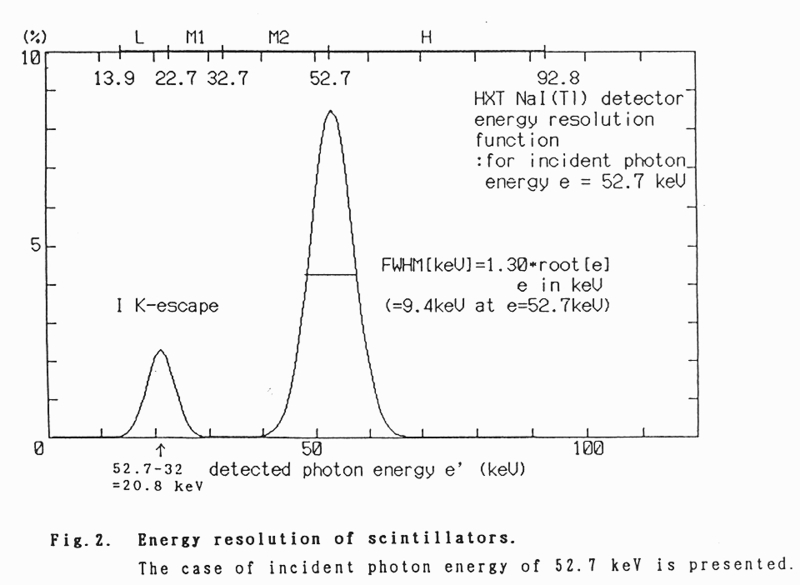 Kosugi, T., Makishima, K., Murakami, T., Sakao, T., Dotani, T., Inda, M., Kai, K., Masuda, S., Nakajima, H., Ogawara, Y., Sawa, M., and Shibasaki, K. 1991 : Solar Phys., 136, 17. Kosugi, T., Sakao, T., Masuda, S., Makishima, K., Inda, M., Murakami, T., Ogawara, Y., Yaji, K., and Matsushita, K. 1992 : Publ. Astron. Soc. Japan, 44, L45. 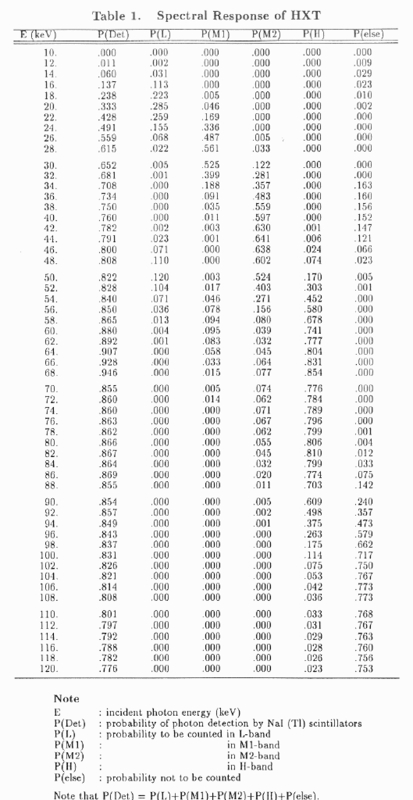 HXT Figures (click to enlarge). 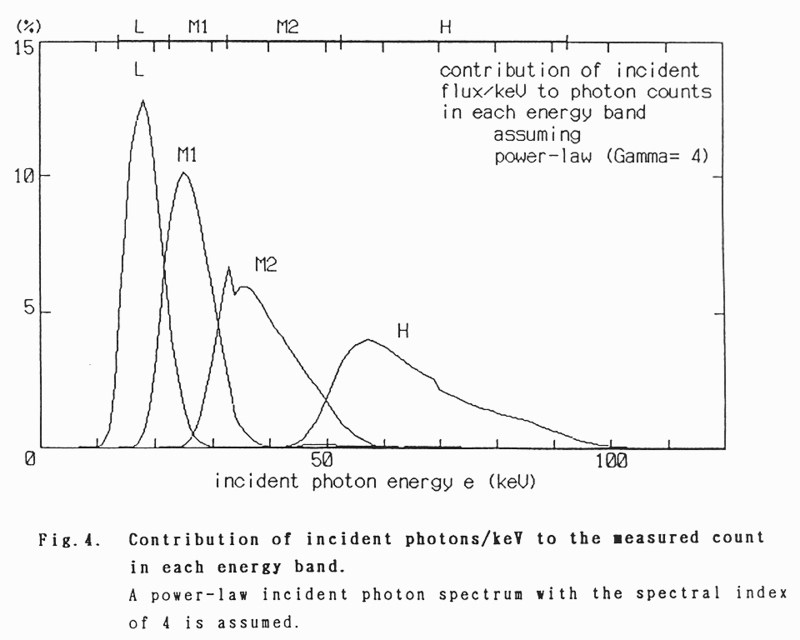 Count ratio vs Incident photon spectrum (power-low spectrum). 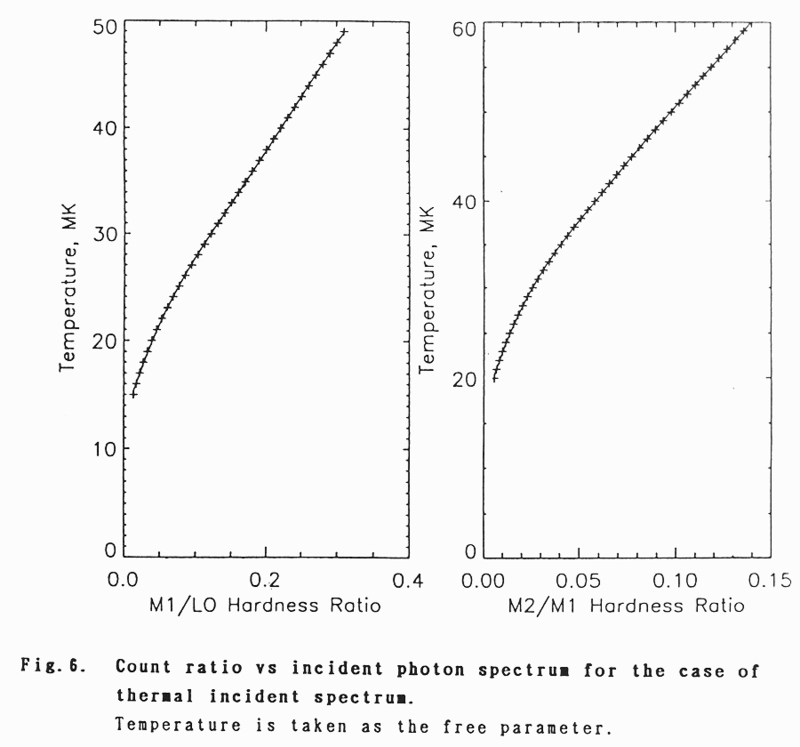 Count ratio vs Incident photon spectrum (thermal spectrum).